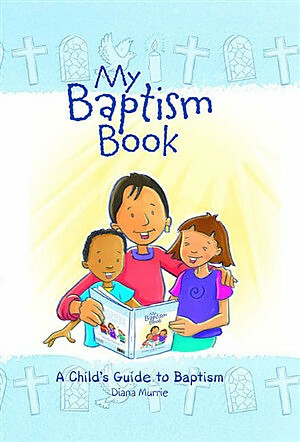 "My Baptism Book" aims to help children understand one of the most important days of a child's life. It is a beautiful personal reminder of this special day and one that a child can return to again and again. It can be used by adults and children together, or in more formal baptism preparation and includes a number of inspiring ideas on ways to use the material creatively. This is an ideal gift for children aged 3+. My Baptism Book by Diana Murrie was published by Church House in January 2003 and is our 609th best seller. The ISBN for My Baptism Book is 9780715142264. Be the first to review My Baptism Book!